Bar Harbor biotech firm Novo Biosciences said it has made substantial progress for the drug candidate it’s developing to activate injured tissue regeneration, including heart muscle tissue damaged by heart attack. 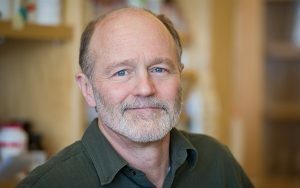 Novo Biosciences was founded in 2013 by Kevin Strange, who was president of Mount Desert Island Biological Lab from 2009 to 2016, and MDI Biological Laboratory faculty member, Voot P. Yin. Strange is one of the co-inventors of the drug candidate, MSI-1436, together with Yin and Michael Zasloff of Georgetown University. Strange stepped down as president of MDI Bio Lab to pursue the development of MSI-1436 as CEO of Novo Biosciences. Kevin Strange, CEO of Novo Biosciences, reported this week that the Bar Harbor biotech firm has made substantial progress for the drug candidate it’s developing to activate injured tissue regeneration, including heart muscle tissue damaged by heart attack. The firm’s patent claims have been allowed in Japan (official patent should issue in the next few months). Receipt of new funding from the National Institutes of Health to test the drug candidate in a mouse kidney injury model. Start of Phase 2 Small Business Innovation Research-supported studies of the drug candidate in a pig heart attack model. Initial results our encouraging. The U.S. Food and Drug Administration has granted Novo Biosciences a pre-investigational new drug meeting based on the strength of pilot data showing the drug candidate strikingly reduces heart and skeletal muscle damage in a mouse Duchenne muscular dystrophy model. The goal of the meeting is to define precisely the additional data needed to support a full investigational new drug application and launch clinical trials in Duchenne patients. It’s also expected that Scientific American will publish an article this spring on the story behind the discovery of the drug candidate. “This is a major honor and coup for the company,” Strange wrote. While at the bio lab, Strange implemented a unique research approach in which scientists study regeneration in highly regenerative animals in order to develop drugs to stimulate dormant capacities for regeneration in humans. That approach resulted, in 2018, in a five-year, $12 million National Institutes of Health Center of Biomedical Research Excellence grant to support the growth and development of the Kathryn W. Davis Center for Regenerative Biology and Medicine, which was founded by Strange in 2012. According to the Novo Biosciences website, its drug candidate is the first, and only one to date, to stimulate a damaged heart to repair itself.